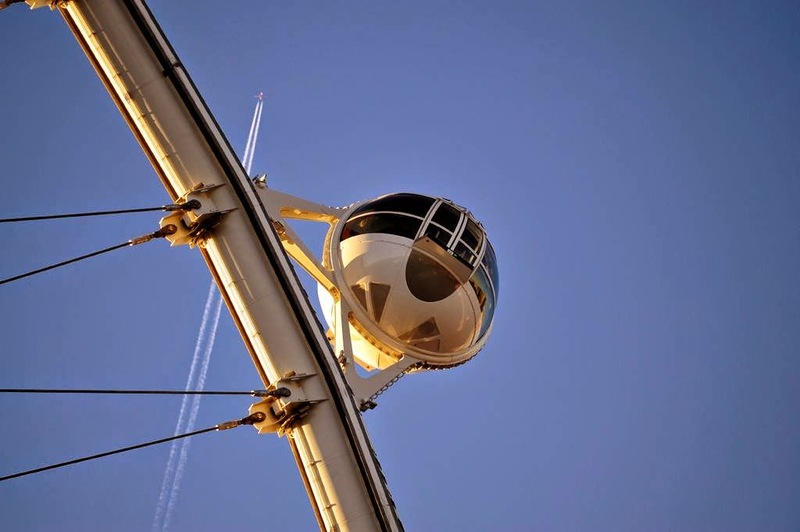 Next time you’re in Las Vegas and you have half an hour to spare then you might consider its newest, record-breaking attraction. 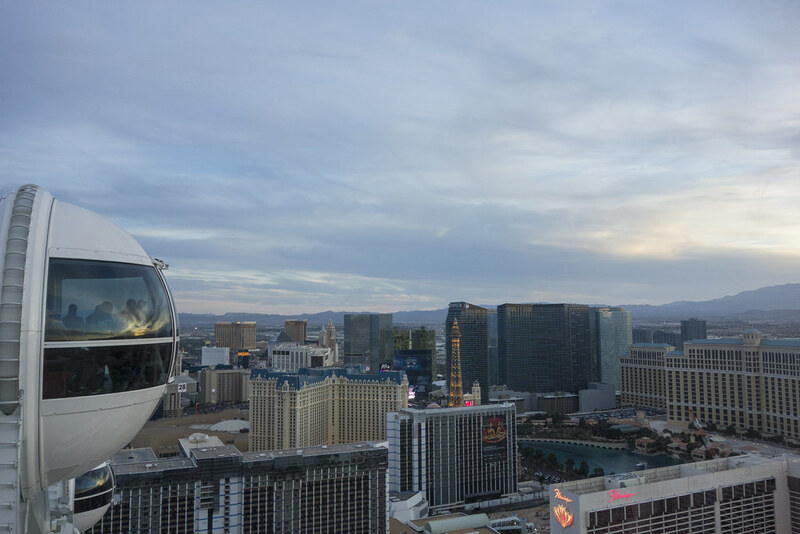 The High Roller may not be for you if you don’t like heights but if you want a better view over the city and its environs then you have to get in to a helicopter. 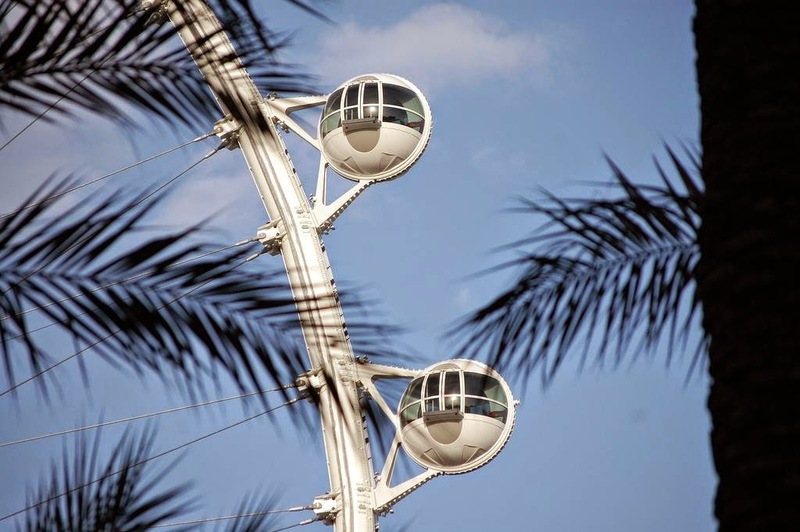 It’s taller by nine feet than the previous record holder, the Singapore Flyer. As for its (at the moment) rather more famous sister in England’s capital, it stands 100 feet taller than The London Eye. 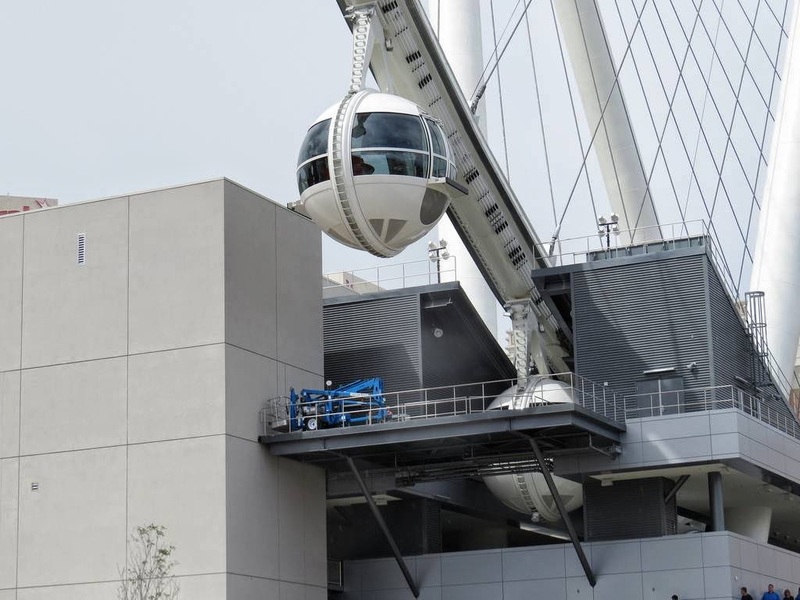 The wheel consists of 28 cabins which can take 40 passengers each – that’s 1,120 people at any one time (though we guess some would be getting on and off as it travels at a graceful one foot per second). 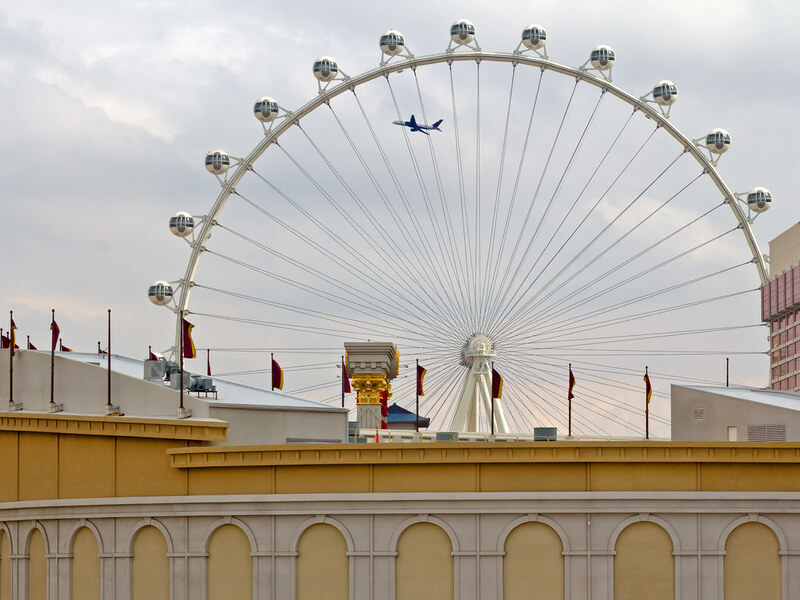 Little wonder that the people behind the wheel, Caesars Entertainment estimate that around four million people will take the ride of their life in the wheel's first year. 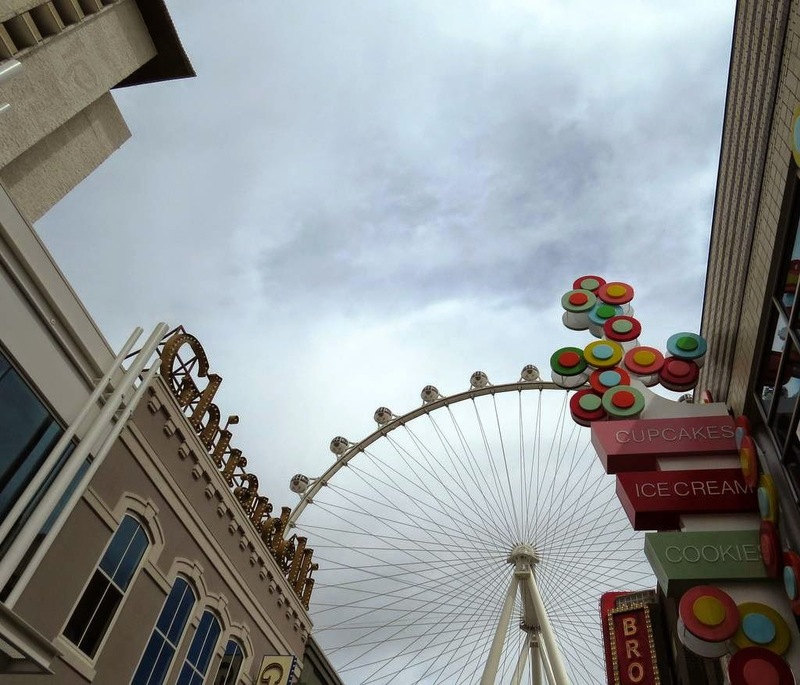 The High Roller opened to the public at the end of last month (March) and so it’s as new an experience you can get in a city not without other attractions. 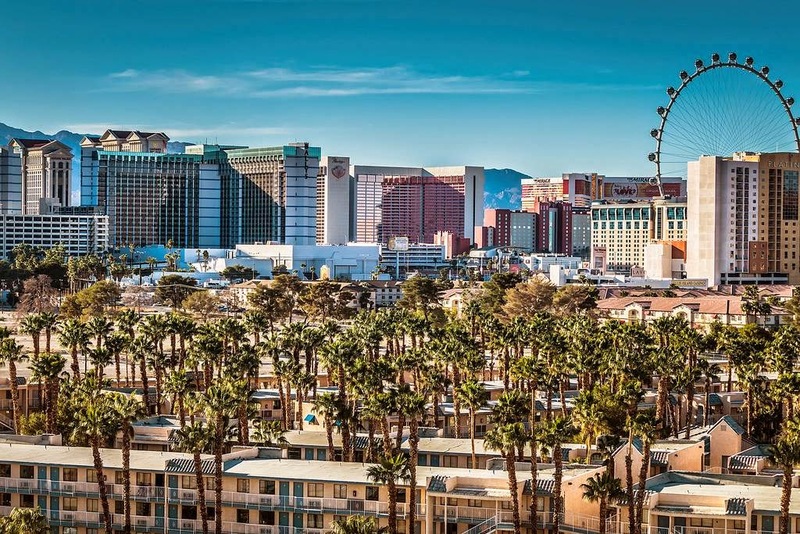 Yet Las Vegas has never seen anything quite like this – especially when the colossal structure is lit up by its 2,000 LED lighting system. 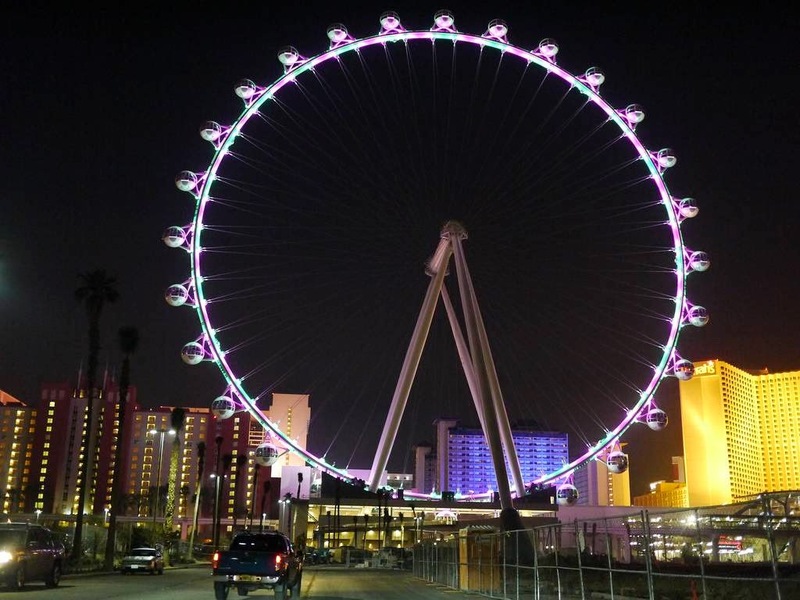 The wheel can be lit up in a single color or each section can have its own with other color spinning around its rim. There are also plans to customise the colors for holidays and other events – it’s only a matter or time before somebody’s rich father books the entire thing and lights it up for his daughter’s 16th. 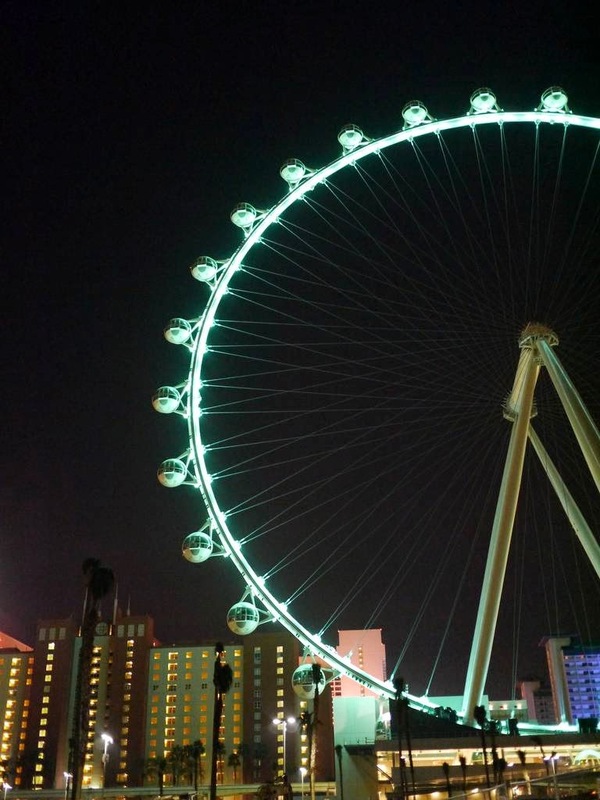 Future extravagances aside, the High Roller’s vital statistics are simply staggering. 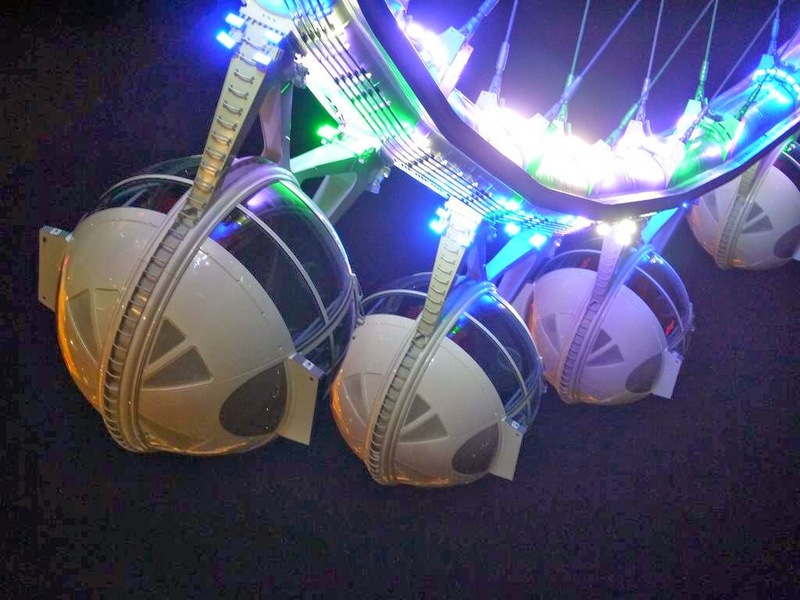 A pair of the largest spherical roller bearings ever made rotate the ferris wheel. Each has a diameter of almost eight feet (over 2 meters) and a width of two feet. 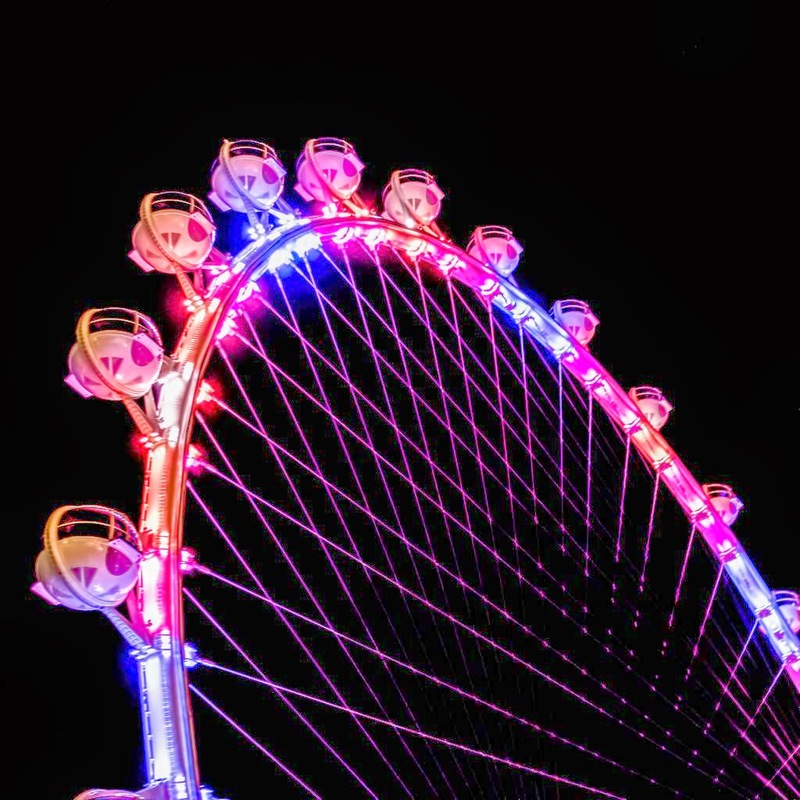 The 28 carriages is each part of its own section, High Roller's outer rim comprises 28 sections, which are 56 feet in length. 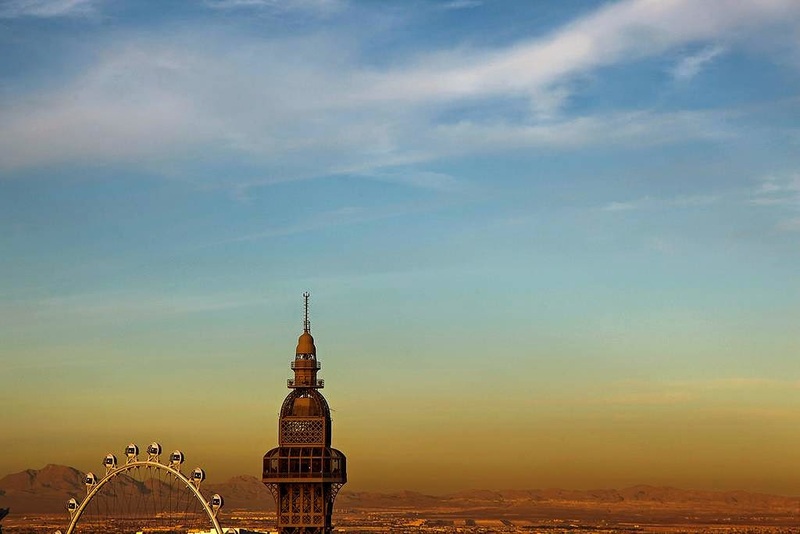 These were held in place during construction by a pair of enormous radial struts. 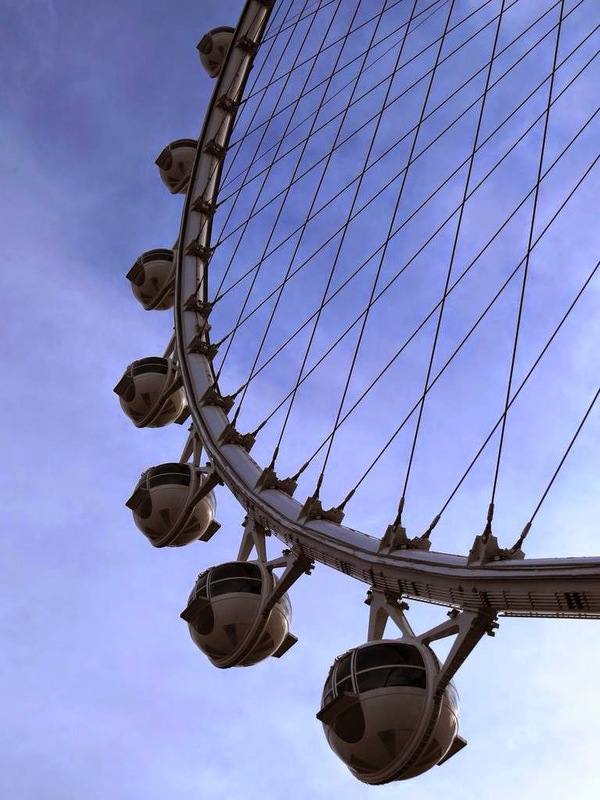 These were replaced by four cables as the wheel neared completion. 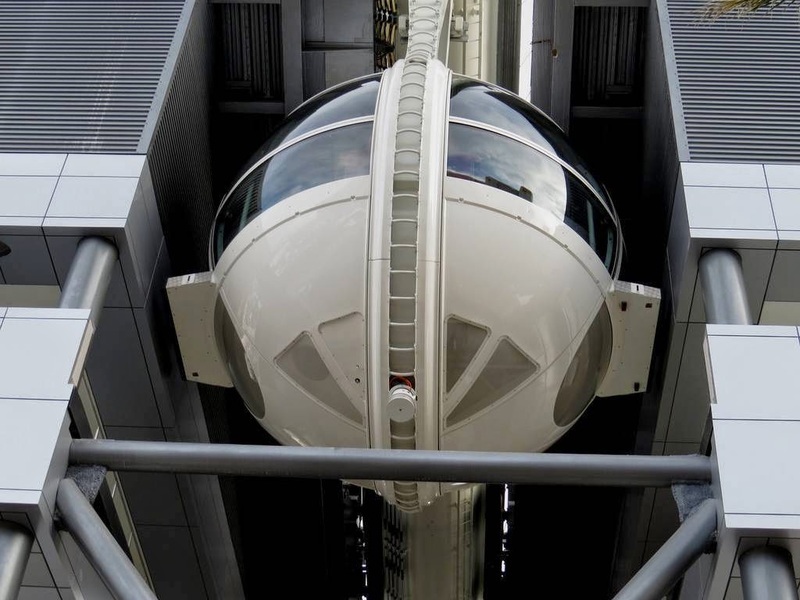 The cabins are spherical and transparent to give the passengers the best views possible as they rotated inside them. Mounted on the outside rim they are turned at a speed which ensure they remain horizontal during each thirty minute rotation. You may think 40 is a large number of people to get in each cabin but with 225 square feet there is plenty of room to swing if not a cat then a camera. They also weigh 44,000 pounds each. 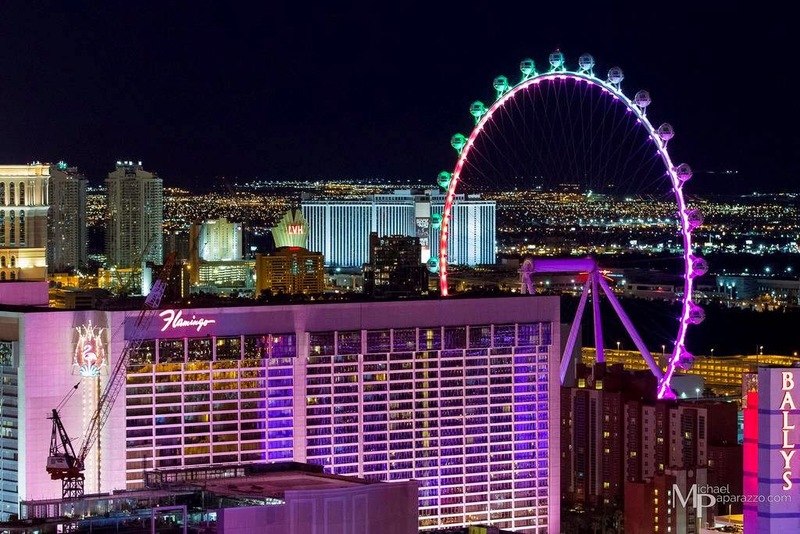 It seems that many people planning a trip to Las Vegas are asking which hotels have the best view of the High Roller, which has changed the city’s skyline forever. While it is admirable that they are planning ahead, a word of caution. 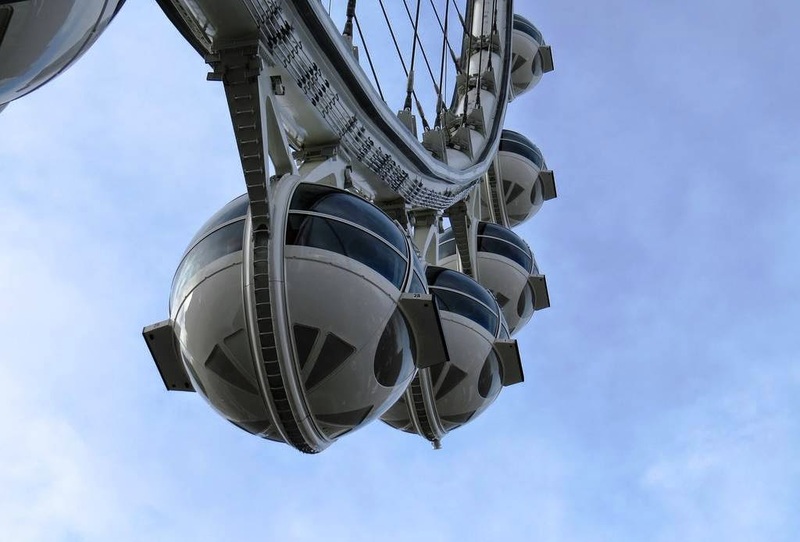 If you can look out, then no doubt those on the wheel can also look in. One can only wonder when (it’s an improbable if) an episode of CSI: Crime Scene Investigation is centered around the High Roller.